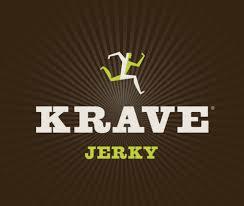 We love Krave Jerky they have so many great flavors when the company asked if I would try some of their flavors out and of course I said yes. I love meat and on top of that I love beef jerky so the flavors I was able to try were garlic chili pepper, chili lime, sweet chipotle, smokey grilled teriyaki, lemon garlic, and they all are pretty tasty. Even my son that is 18 months loved snacking on this and when I took it away he got really mad. 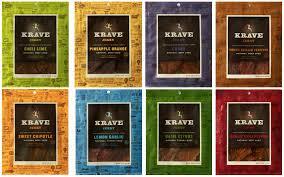 KRAVE Jerky is a healthy, anytime snack. For athletes, outdoor recreationalists or anyone on-the-go, KRAVE Jerky presents all the benefits of meat, at its healthiest. 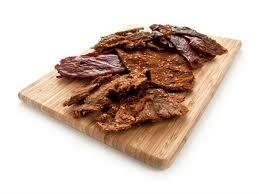 Jerky is naturally loaded with protein, while the drying process both removes most of the fat and results in fewer carbohydrates. KRAVE Jerky is a high-protein, low-calorie snack productDevoid of any nitrates, hormones and artificial flavors, all-natural KRAVE Jerky has an elevated conscious, using lean cuts of domestic meat and all-natural, gourmet ingredientsKRAVE Jerky has been deemed heart healthy by the American Heart AssociationKRAVE Jerky minimizes empty calories and excessive sodium, while also serving as an excellent source of zinc, iron and B vitaminsKRAVE Jerky allows you to feel full without overdoing fat, calorie and carbohydrate intakeDue to its recipes, meat selection and proprietary cooking process, KRAVE's products are materially lower in salt (50-70%), cholesterol (50-70%) and calories (15-70%) than its major competitors and are 97% fat free.KRAVE Jerky contains primarily monounsaturated fats. Monounsaturated fats have several beneficial effects when eaten in place of saturated fats or trans-fats, mainly reducing levels of bad cholesterol in the blood and lowering risk of heart disease and stroke. Such fats are also typically high in vitamin E, an antioxidant vitamin that is lacking in the typical American dietElite athlete Vito Bialla, the only person ever to complete a six-day back-to-back Double Ultraman (a back-to-back Iron Man triathalon) in 63 hours, depends on KRAVE Jerky for healthy high-protein, low-calorie snacking.